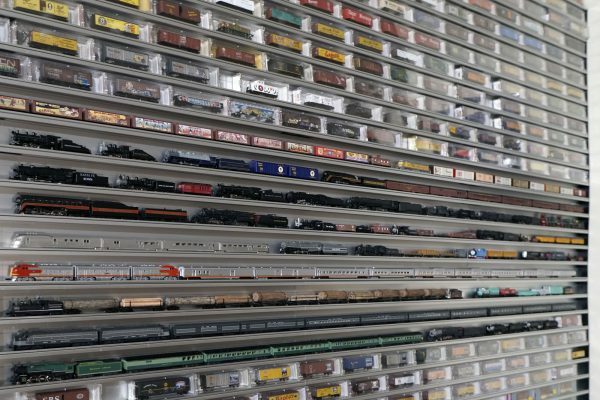 This wall to wall collection is displayed on all four walls of the train room with access doors under the layout lined with Showcase Displays. Display entire ‘Train Consists’ along with your ‘Engine Roster’. ‘Micro-Trains Line’ cars are displayed in their "Jewel Boxes". 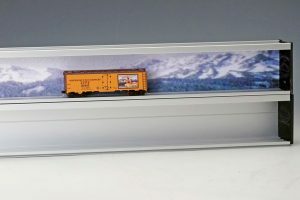 Our N & Z Scale Train Display Case (Series 1000, inside dimensions 1.06” deep x 1.60” opening) accommodates N-Scale rolling stock, engines and other collectibles. Grooves provided for wheel flanges to drop into for east alignment. No messing around trying to align the wheels on rails. Also accommodates Micro-Trains (TM) inside their Jewel boxes, as shown. The Showcase Express Wall Mounted Display Case System is a clever and attractive method of displaying your prize collectibles of various types and scales. And with our unique expandable system the display can grow with your collection! If you are a fan of any of these scale trains, not to worry! The all look great displayed on the wall in our display case, the Showcase-Express! 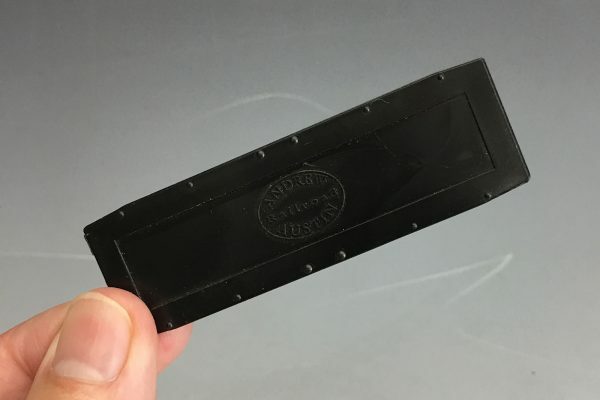 Micro-Trains, Kato, Walters, Trix, Model Power, Broadway Limited Imports, Bowser, Bachmann, Fox Valley Models, Atlas Trainman, Arnold by Hornby, Intermountain, Scale Trains or Atherns. 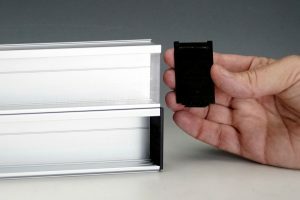 This is a replacement for the same 1.6″ Clear Vinyl Window that ships with each display shelf. 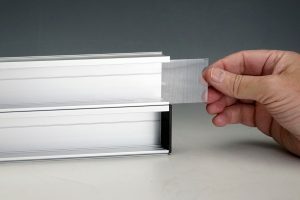 Helps protect items in your display case and prevents dust buildup.